Are we too attached to our pets? According to the Pet Food Manufacturing Association (PFMA) 13 million households in the UK have a pet and families with children are more likely to include a pet. There are 8 million dogs and 8 million cats kept as pets in the UK. Keeping pets is not a new phenomenon! Dogs were most likely the first animal to be kept as a domestic “pet,” with human-dog relationships dating back over 12,000 years to Palaeolithic times. 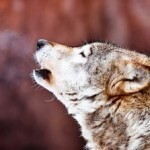 All domestic dogs have a wolf ancestry; no doubt the dogs’ popularity as a pet is linked to this. With the extended family structure and social nature of wolf packs, most dogs have the potential to fit with ease within human family systems. Evidence of human-cat relationships has been found in Ancient Egypt dating back to 2000 BC. Cats were originally valued and kept for their “pest” controlling prowess, but were also appreciated as companions. Despite this long world history of pet keeping it is only recently psychologists have started to investigate pet-people relationships, in an effort to understand what factors influence human attitudes, beliefs and behaviour towards pets. Improved understanding will help provide better animal welfare. Whilst most of us freely admit to feeling affection for our pets and feeling loved by them, we often shy away from discussing this in case people think we are being too sentimental! People often talk about pets as being family members, friends, surrogate siblings or being “like children” in their vulnerability and dependence on us for their care and welfare. 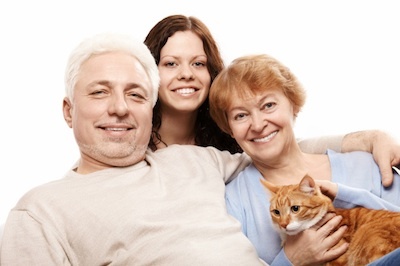 Pets are important and can be primary attachment figures in some people’s lives. For children, a pet may be a surrogate sibling or friend; some children and adults with autistic spectrum disorder who have difficulties with social relationships with people may form exceptionally close relationships with pets. Animals offer people a form of acceptance and unconditional positive regard that can be difficult to find outside of pet-people relationships and for this reason attachment to pets can be intense, sometimes more intense than with people. It is therefore very understandable we can experience intense grief when facing pet bereavement such as when a pet dies or strays or has to be re-homed due to changed circumstances. Grief is a natural response to loss and is probably best described as an adaptive process. Yet so many pet owners are shocked or even embarrassed at their natural responsewhen they lose a pet. The intensity of emotion can sometimes take us by surprise. Professionals talk about ‘Attachment Theory’. The term attachment is used to describe a mutual and intense relationship between two individuals. Attachment involves an affectional bond between an individual and their carer. The term is used especially about the relationship between human parents/primary caregivers and their babies. Think about your relationship with your pet, does it sleep on your bed? Sit with you? Follow you around your home? 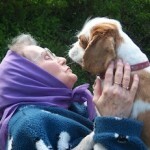 Do you talk to your pet and perceive it understands what you are saying or somehow “talks” back through meows or barks. 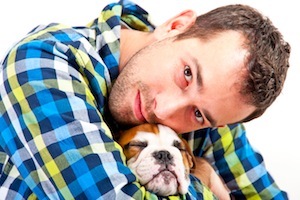 You are not going crazy if you answer “yes” to these questions, what you are is attached to your pet and this attachment is mutual; your pet is also attached to you. This can cause difficulties, e.g. separation distress – a dog becoming destructive when anxious through being left alone. The pleasure in particular dogs appear to express when an owner returns home demonstrates the two-way direction of attachment within positive relationships with pets. Why do we get so attached to our pets? The function of attachment is safety, security and survival. Pets are reliant on us – their human caregivers to provide for them and protect their welfare. But people can also become reliant on a pet’s unconditional love, companionship and interaction. For someone with an assistance dog there can be physical as well as psychological dependency. Grief on losing an assistance dog either through death or retirement can be understandably tremendous. There have also been examples in history of dogs grieving for their deceased owners e.g. In Edinburgh, Grey Friars Bobby the Skye Terrier who mourned the death of (Auld Jock) for 14 years lying on his grave until his own death in 1872 and in Japan the Akita Hachiko who faithfully waited 10 years for Professor Ueno, his owner, to meet him at Shibuya Station in Tokyo. These examples illustrate the two-way nature of pet-people attachments. The pet-person relationship is mutual. From a psychological perspective attachment objects (e.g. 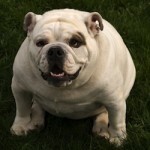 parent, pet-owner, pet) satisfy comfort and security needs, for some people this is an important function of having a pet. However, be careful not to get “over involved” or too attached to a pet. Sometimes, if the boundaries aren’t clear the pet-people relationships can result in poor differentiation between self and pet, e.g. if someone comfort eats when distressed they may feed their pets treats throughout the day to “make them happy,” even if the pet is overweight and this is jeopardizing their health. Similarly a male pet-owner may respond to thoughts of having his male dog castrated as unnatural, emasculating and unfair based on an inability to separate self from pet. In both these examples owners have anthropomorphised their pets i.e. attributed human characteristics and thinking to them. Anthropomorphism is of course a natural part of being human but we need to be able to differentiate ‘self’ from ‘pet’ in order to best look after our pet’s welfare and ourselves.